You can use paint to customize a Hot Wheels car and transform it from an old, worn-out toy into the car of your dreams or a vintage replica.You can also add brilliance to a Hot Wheels car you already love by painting on decals, flames, stripes or any other design you like. Paint can help you enhance your Hot Wheels car to match your vision. Compile images of cars you like. Draw designs you might want to add to your car. 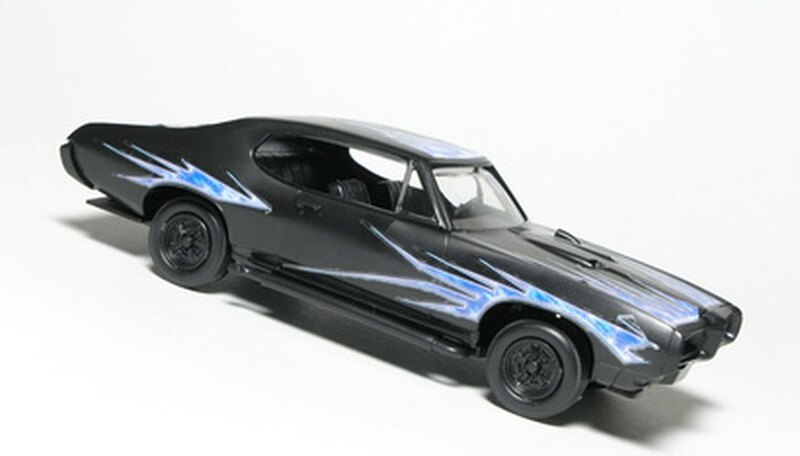 Draw some designs of the finished car with various decals and colors, so you can come up with the final vision of how you want your Hot Wheels car to look. Purchase a Hot Wheels cars that best fits your vision. Make sure the body of the car matches the style you want. Remove the wheels by drilling out the front and rear rivets, removing the undercarriage, and cutting the axle tabs. Strip the paint. Remove any undesirable features by grinding them down with a high speed rotary tool. Sand the car down. Polish with a small towel to smooth the surface. Wipe the body of the car clean. Apply the base paint to the car. Allow to dry. Add a second coat of paint. 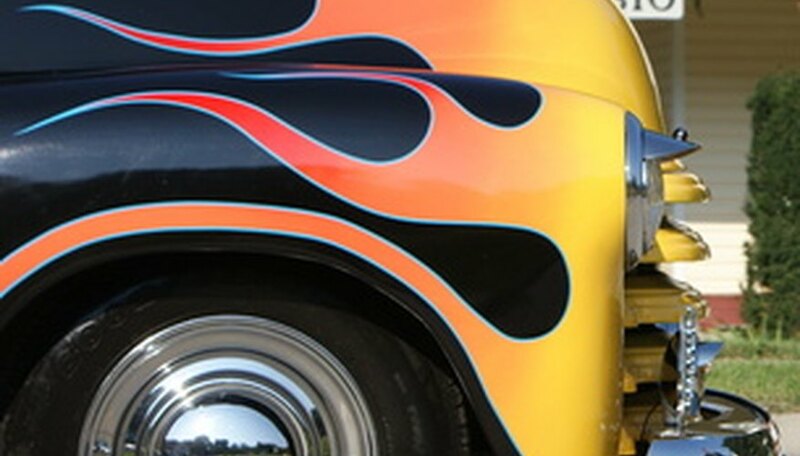 Paint designs such a stripes, flames, or decal look-a-likes. Add a number if you are painting a race car. Apply the clear coat and dry overnight. You can design and print your own decals if you have the right computer software. When applying paper decals, use tweezers and apply clear coat after decal has been placed. Take your time when painting small objects such as Hot Wheels cars. Always make sure each coat of paint is dry before moving on to the next step. Matthew Campbell has been writing since 1995. He has published poems in literary magazines and an anthology titled, "Post Modern Poetry from 1969 to the Present." He writes for various websites, including TheAlternativePress.com. He received a Bachelor of Arts in English and writing from the University of Maine and a Master of Fine Arts in creative writing from Bennington College in Vermont.